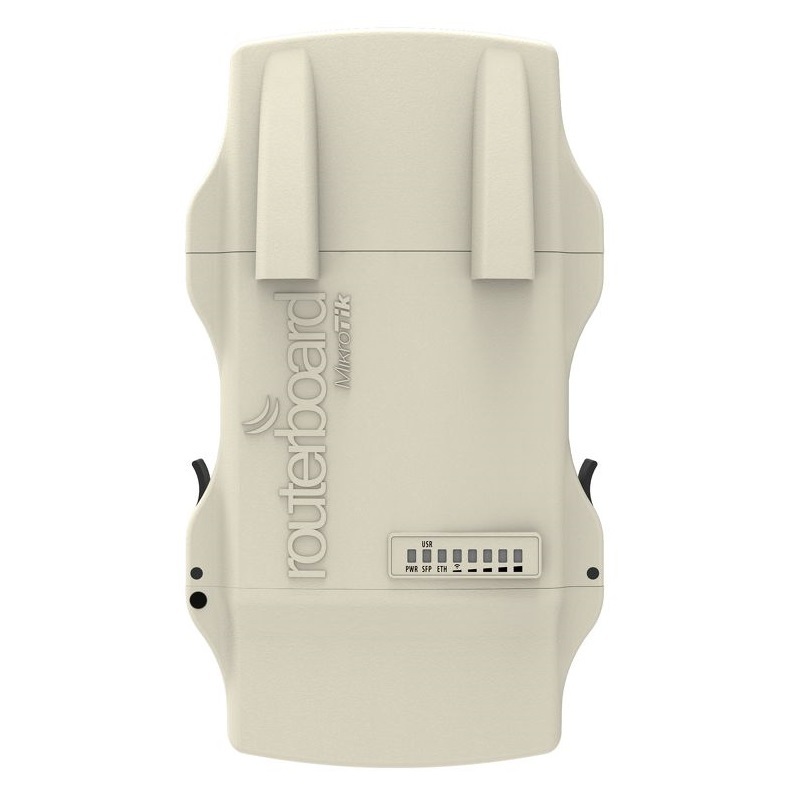 This NetMetal version is equipped with a miniPCI-express slot, a SIM slot for 3G/4G device or additional wireless card, a high power 3x3 triple chain 802.11ac wireless and three RP-SMA connectors for external antennas. 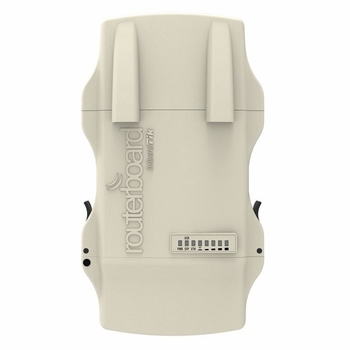 The NetMetal is a 802.11a/n/ac wireless device in a waterproof metal enclosure. Its rugged design is made to withstand the toughest conditions, but at the same time is easy to use and can be opened and closed with one hand. The solid aluminum enclosure also works as a reliable heat-sink for its high output power radio. The NetMETAL is equipped with powerful 720Mhz CPU, 128MB RAM, one Gigabit Ethernet port, 802.11ac wireless, one SFP cage, USB, RP-SMA connectors for external antennas and RouterOS L4 license. Suggested for High-Speed links on short distances (under 1km).